With over 37 Excel templates for business available today, we have just what you need. We have templates available for different domains and industries, including Human Resources, Marketing, Financial, Social Media, Real Estate, and Sales, and we add new templates every month. If you want to get more out of your data, our Excel templates for business are just what you need. Our operational templates are popular in an assortment of industries. These Excel templates for business help companies control their data and visualize information through interactive reports and dashboards. If you need help managing the data you collect on a daily basis, these templates are a must. Easy-to-use and visually appealing, our templates are the best way to keep up with your organization’s data. We also offer dashboard templates. These templates allow you to display performance indicators and metrics. If you want to make sure your organization hits key performance indicators, these Excel templates for business can help. You’ll be able to keep an eye on all key performance indicators and make adjustments to your goals as necessary. 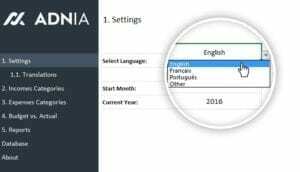 The business world is global now, so you need templates that you can translate into different languages. 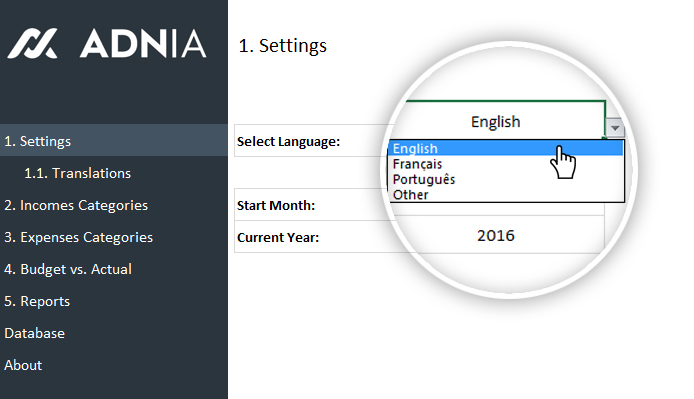 That’s why many of our templates are available in English, French, and Portuguese. You don’t have to let us know what language you want when you order the template. Instead, just select it from the Settings page, and the template will then display in your language of choice. You can switch languages as often as you want, making it easy to work with overseas clients. We are in the process of adding this support to all of our templates, so check back often. If your favorite template doesn’t currently have multilingual support, it likely will soon. We don’t just make functional Excel templates for business. Our templates are also visually appealing. We make each template with the idea that data doesn’t have to be bland. Our Excel templates for business take data visualization to the next level while still offering the functionality that our customers crave. When you use our templates, you get something that is beautiful and functional, and you will be proud to share it with your customers or team. We know you need to look professional when it comes to data visualization, and that’s easy with our templates. Have an Idea for a Template? We come up with new templates on a monthly basis, and many of our customers find exactly what they need in our store. Still, we are always open to suggestions. If you have an idea for an Excel template for business, email us at contact@adniasolutions.com. If we think your idea is something our customers will want, we will design it and add it to our store. It’s time to improve your company’s data visualization. Whether you need an operational or dashboard template, we have you covered. Browse our Excel templates for business and make your decision. Our templates are easy to use, so you can start populating your template with data as soon as you purchase it.